Since the first book in his Station series set during WWII, Zoo Station, David Downing has become something of a phenomenon in the worlds of literary espionage and historical fiction. 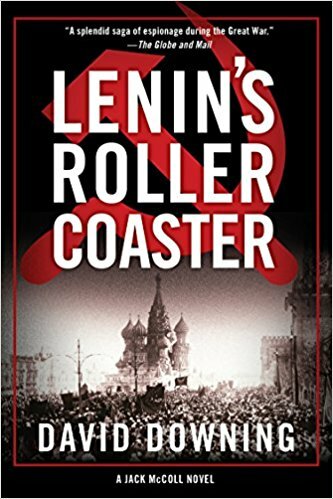 His work has been lauded as “ripping good” (The Seattle Times on Jack of Spies), “brilliant” (The Globe and Mail on Masaryk Station), “action packed” (BookPage on Lenin’s Roller Coaster) and “just damn fun” (The Arizona Republic on Jack of Spies). 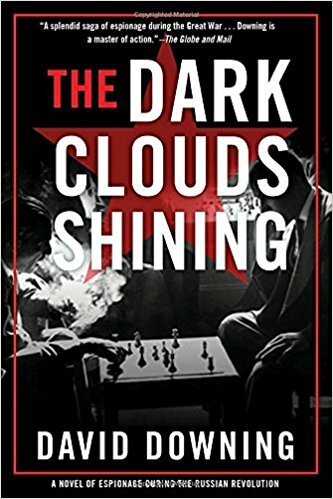 His Jack McColl series set during and after WWI began in 2014 with Jack of Spies, and the fourth and final title in the cycle, The Dark Clouds Shining, is slated for release April 10, 2018 from Soho Crime. David sat down with his US editor, Juliet Grames to talk Jack McColl, bad French accents, and why it’s hard to love a spy. Juliet: The John Russell/‘Station’ series, which you concluded in 2014, is set in the middle of the 20th century, during and around World War II. What inspired you to dial back the clock to the eve of World War I for the Jack McColl series? 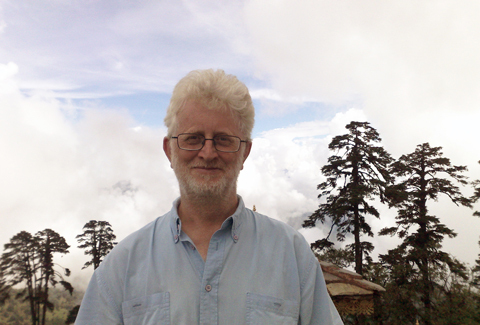 David Downing: The Second World War was more horrendous than the First in many ways—most notably in the number of civilians killed—but I’ve always felt that the latter was more of game-changer, and I wanted to write a series that reflected the move away from conflicts between established nation states, and the increasing importance of the class, gender and colonial conflicts raging inside them. I wanted a protagonist who would find these changes hard to cope with, but struggle to do so nevertheless. In the ‘Station’ series John Russell was always politically-motivated, and his views at the end have hardly changed at all, but in the new series British agent Jack McColl is more of a blank slate, politically speaking. The events he witnesses and the people he meets will confront him with many uncomfortable choices. Juliet: Spoiling as little as possible from the first novel in the series (I hope): Jack of Spies features some fascinating and important political events that, I think, are often forgotten or overshadowed by World War I: the Irish Republican movement; the Indian independence movement; the Paterson strikes and workers’ rights; the Tampico Affair. How did you decide to include these episodes in the plot? David Downing: Well obviously I needed somewhere to send my hero, and in 1914 there was no shortage of places where the British Empire was being threatened in one way or another. In Jack of Spies he turns up in China, the US, Mexico and Ireland, but it could have been any number of exotic destinations. And my female protagonist, Caitlin, a radical New York journalist, would have been all too aware of the Paterson strike and its aftermath in 1913-14. Juliet: In the words of John Le Carré, ‘Love is whatever you can still betray.’ In part, the character Jack McColl is so eager to be a spy because he doesn’t have anything tying him down. 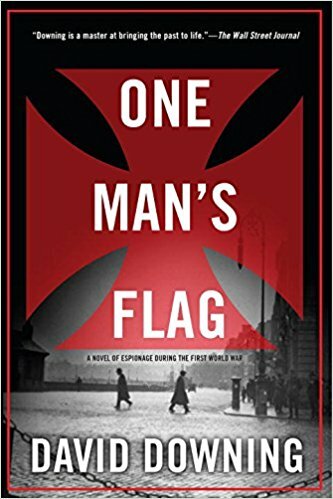 Falling in love with Caitlin Hanley compromises not only Jack’s ability to be a spy but his loyalty to the same country he had so recently been willing to sacrifice it all for. What are your thoughts on the perfect spy, David? Can he or she have love in their life? 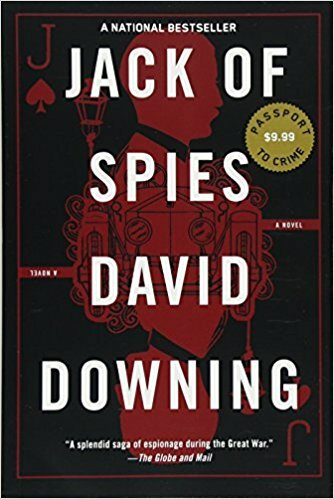 David Downing: Jack McColl is not so much a spy as an intelligence agent whose job involves some spying, and over the series he’ll spend more time foiling plots than collecting information. But to answer your question—I think a perfect spy would have to be a very imperfect human being, and in the long run at least, not a great bet as a partner in love. David Downing: I really don’t know. It probably should be, but most human beings seem wonderfully creative when it comes to convincing themselves that the easy option is also the right one. And I imagine that the inherent excitement of the job would make it easier to put your conscience on the back burner, at least in the beginning. Juliet: Jack McColl is a fantastic linguist. Do foreign languages come naturally to you, David? David Downing: I studied Latin, German and French at school, and failed miserably in all of them. My French teacher said I had the worst accent he’d heard in thirty years of schooling, but I think he told quite a few others the same.